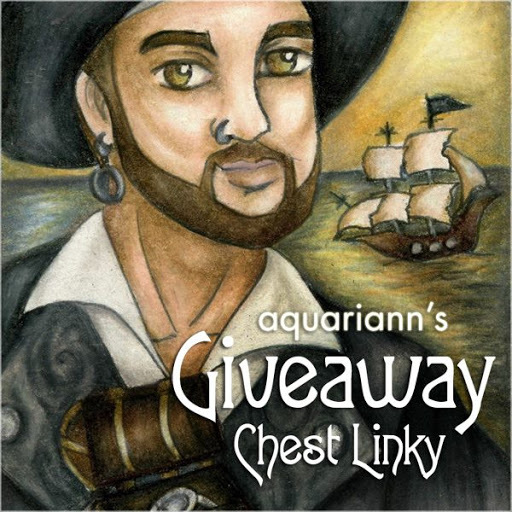 fantasy art and tree chatter of aquariann: Jewelry Giveaway: $45 Prize Box by Life is the Bubbles! Jewelry Giveaway: $45 Prize Box by Life is the Bubbles! EDIT: Giveaway is officially over. Congratulations to Elaine Douglas-Rioux for submitting the randomly chosen 733rd entry. Even if you don't usually like surprises, you're going to love this one! 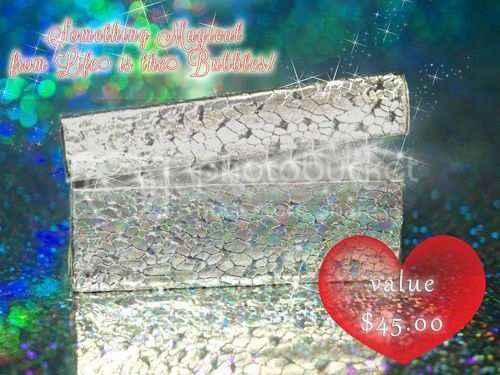 The lovely ladies at Life is the Bubbles are giving away a pretty prize box filled with something special, something ... magical. The mysterious handmade accessories inside are valued at $45. And if the winner wishes hard enough, the item they desire the most just might appear in a magic puff of sparkly smoke instead! That sounds like a hope that would only come true in a Disney story, right? Not so! Brandy and Kathy craft under the belief that with a little bit of pixie dust, Life can become Magical. Their unique designs are sure to exist happily ever after in any girl's jewelry collection. Use the Rafflecopter below to enter to win Brandy and Kathy's jewelry giveaway before 11:59pm EST on January 30, 2013. 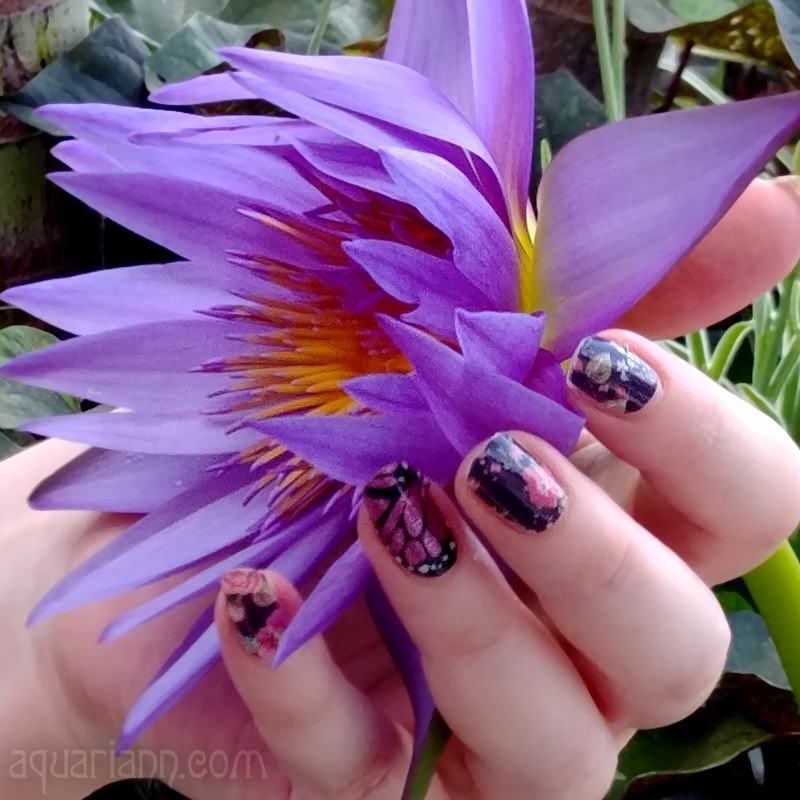 Be sure to leave the mandatory comment on the blog post with the same name you use to fill out the Rafflecopter - all entries by winner must be easily verified or a new winner will be chosen. The pictures shown for the snow one are just soooo awesome! I hope the Arabian Nights Necklace is in the prize box. I hope the Winnie the Pooh Honey Pot earrings are in there! I love the Cheshire Cat necklace too! the bottle of mermaid tears is my absolute favorite. i would be so happy if i got that :D thanks for the chance. oooh! I love the Poison and Apple Wicked Queen Vial and Charm Necklace!!! I hope it is in the prize box!!! I hope Grandmother Willow Inspired Earrings are in the prize box. I hope it's: Happily Ever After Fairy Tale Necklace Bottle and Castle Charm Disney Fashion!! I love these. I could go nuts. I hope that the LOVE The Most Powerful Magic of All Necklace with a Heart Charm by Life is the Bubbles is in the box. Would love an Alice In Wonderland inspired necklace and bracelet set - and maybe a matching set for my daughter! i love the 'believe in magic' necklace! thanks so much for the very magical giveaway!! love the shop! The Drink Me Alice in Wonderland Bottle Necklace with a Key Charm. I would love it if the box contained the http://www.etsy.com/listing/97353761/pixie-dust-magical-necklace-with-a! I love http://www.etsy.com/listing/94411160/cinderella-necklace-bottle-of-happily :)Your shop is adorable . I love the Adventureland Earrings! I would love to see this one on the box!! Everything is so cute! I like the Mistress of Evil necklace!! and the Wicked Brew Earrings!! I hope the Mardi Gras scarf is in it! I hope the Cinderella Dreams Do Come True Magical Charm Bracelet is there in the surprise gift box! Oh I love the Cinderella Dreams Do Come True Magical Charm Bracelet Disney. So cute!! I wish and hope it is in the magical box. Mistress of All Evil Maleficent Magical Necklace with a dragon is my choice. Christina - xristya@rock.com - I hope that the Chiffon Scarf Mardi Gras Color or the Poisoned Red Apple Earrings would be part of the surprise! Nothing can possibly be more adorable than than the drink me alice in wonderland necklace with that adorable little key too! I love the Happily Ever After garter and charm!! I hope that the prize includes the Adventureland Earrings Disneyland Disney Fashion. I hope one of your nice necklaces is in the box. I like the Haunted Mansion charm bracelet. So hard to choose! After all, I LOVE her work! Also LOVE grab bag surprises! Sounds like everyody likes these products. Keep up the good work. I would love my very own bottles of pixie dust. I hope the Cinderella Dreams Do Come True Magical Charm Bracelet is in the box. Jiminy Cricket Earrings Dangle Drops Green and Bronze with an Umbrella Charm Whimsical Pinocchio! I hope inside is the Blue Fairy When You Wish Upon a Star Bottle of Magic Necklace and Star Charm. I looooooved the Scarf Silky Charmeuse ADVENTURELAND Disneyland Disney Fashion. Those rum barrel earrings are really tempting too! Good work! I love the Jar of Dirt Necklace! I would love a Poison and Apple Wicked Queen Vial and Charm Necklace, mostly because bigger bottles make me kind of uncomfortable.. but that one is pretty sweet!!! i love poison and apple. You're offerings (posts & otherwise) are always so lovely. Thank you. I hope this is in the box http://www.etsy.com/listing/120790819/pirates-of-the-caribbean-charm-bracelet. Pirates of the Caribbean charm bracelet. The Happily Ever After one with the castle charm, so cute and perfect since I got married in Disney World! The cinderella bottle of happily ever after! My daughter would love this!! I love the Adventureland Earrings Disneyland Disney Fashion. I love the Winnie the Pooh Honey Pot Earrings Disney Inspired Hunny!! Bibbidi-Bobbidi-Boo Bottle of Magic Necklace and 3-D Pumpkin Carriage Charm Cinderella Fairy Godmother . Everything was so cute it was hard to choose! My hope is that there are the Jiminy Cricket Earrings Dangle Drops Green and Bronze with an Umbrella Charm in the prize box. I would hope the box contained a Scarf Silky Charmeuse ADVENTURELAND and the Winney the Pooh Holiday Honeypot earings. I would hope the box contained a Scarf Silky Charmeuse ADVENTURELAND and a pair of Winney the Pooh Holiday Honeypot ear rings. I hope the Pixie Dust Magical Necklace with a Tinkling Bell Charm Faith Trust and Pixie Dust Disney is in the prize box. I hope the prize box contains the Chiffon Scarf Mardi Gras Color NEW ORLEANS SQUARE Disneyland Disney Fashions. it is gorgeous! I'd love to see the Grandmother Willow Inspired Earrings, Elegant Antique Gold Tree Charm & Silky Green beads, Disney Fashion Pocahontas in the box. - Judith R.
I love the Cinderella Necklace! This is perfect! My nieces were just saying how they pulled out the bubbles to make them smile when they thought of me - this is kismit I found your blog. I hope the Dreams Do Come True Magical Necklace with a Night Moon Charm is in the box! I hope the Mermaid Tears Magical Bottle with a Sea Shell Charm is in there! I hope that Dreams Do Come True Magical Necklace with a Night Moon Charm is in my mystery box. As a girl who swears by "Faith, Trust, and Pixie Dust", I have to have that Pixie Dust bottle necklace! I like the TRON Inspired Earrings Disney Fashion for originality of colors! Bridesmaid 4 Happily Ever After Magic Dust Necklace, with a Castle Charm - Fairy Tale Wedding Disney Inspired Wedding Party Color Options. I hope the Pixie Dust Magical Bottles Earrings are in the box! I hope the LOVE The Most Powerful Magic of All Necklace with a Heart Charm by Life is the Bubbles is in the box. The honey pot earings are cute. I would love a bit of magic necklace. It Would Be Great To Win The Prize Box. from Life is the Bubbles' Etsy Shop? Thank You For Having This Giveaway!!!!!! I LOVE the Alice in Wonderland Drink Me Bottle Necklace! http://www.etsy.com/listing/99217254/drink-me-alice-in-wonderland-bottle? A Bit of Magic Necklace with a Carousel Charm Bert and Mary Poppins.